The Darien High School Boys Golf Team in Association with the Country Club of Darien invites you to The Folds of Honor Golf Tournament. 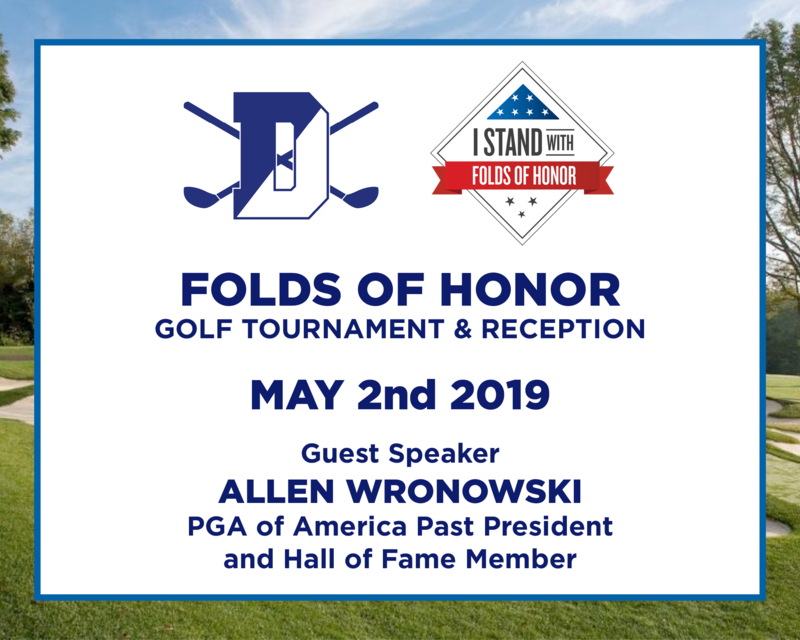 Folds of Honor raises funds to provide educational scholarships to children of fallen and disabled service-members. • Shotgun Start, 9 hole tournament & Reception $125pp. Reception includes Guest Speaker, Buffet Dinner & Cash Bar. Guest Speaker is Allen Ronowski, PGA of America Past President and Hall of Fame Member.